Shop online for over 600 morning-sun model trains at discounts up to 26%. 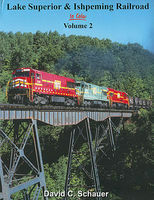 This is the Lake Superior & Ishpeming Railroad in Color Volume 2 Model Railroading Book by Morning Sun Books. This is the Santa Fe Through Passenger Service in Color Volume 2 Model Railroading Book by Morning Sun Books. 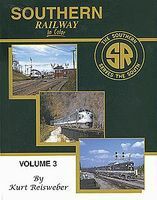 This is the Rock Island Power in Color Volume 1 #1-563 Model Railroading Book by Morning Sun Books. 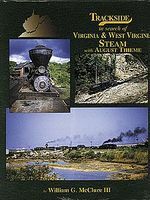 This is the Trackside in the Virginias 1954-1969 Model Railroading Book by Morning Sun Books Inc. 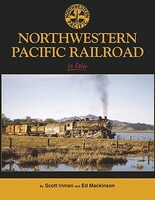 This is the Canadian National Facilities in Color Volume 2 Model Railroading Book by Morning Sun Books. 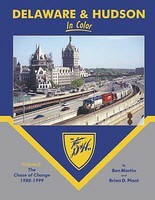 This is the Grand Trunk Western in Color Volume 2- Visual Redesign Model Railroading Book by Morning Sun Books Inc. 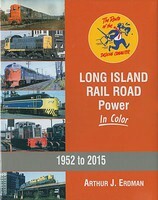 This is the Conrail in Color Volume 3 1990s Model Railroading Book by Morning Sun Books. This is the Trackside Around Denver 1955 - 1979 with Jim Ozment Model Railroading Book by Morning Sun Books. This is the New York City Electrified Railroads in Color Volume 1 Lines Into Grand Central Terminal Model Railroading Book by Morning Sun Books. 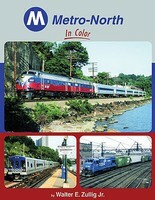 This is the C&NW Color Guide to Freight and Passenger Equipment Volume 1 Model Railroading Book by Morning Sun Books Inc. 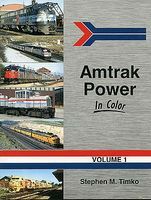 This is the Penn Central Power in Color Volume 3 6000-7499 Six Axle Diesels & GP9s Model Railroading Book by Morning Sun Books.